[vi] Compliance and auditing of ICO transactions. Minister Caines said today, “The emergence of new financial products and services created through the use of technology has opened new and exciting opportunities for entrepreneurs and businesses. So we consider this to be landmark legislation for Bermuda, and in that regard, this is a very exciting time for this Government. 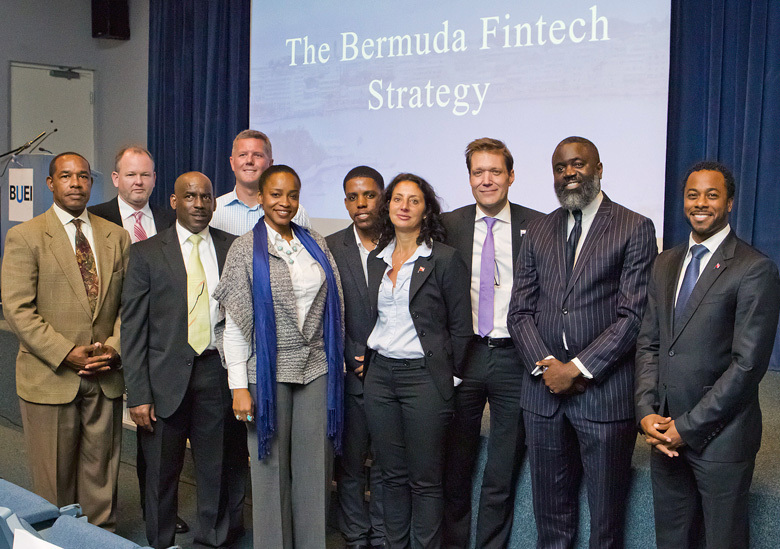 “On Thursday, I along with members of the Blockchain Taskforce hosted a very successful presentation for more than 150 of Bermuda’s key business partners, where we outlined Bermuda’s Fintech Strategy. We recognize that there’s significant interest in virtual currencies and blockchain technology, and this Government believes that Bermuda will become a global leader in the Fintech space. Minister Caines noted that the next Bill to be tabled will be the Virtual Currency Business Act [lead by the BMA]. This piece of legislation will set the regulatory infrastructure to govern Virtual Currency Digital asset Exchanges. Meanwhile, Sean Moran, Head of Business Development for the Bermuda Business Development Agency [BDA], added, “The same features that have made Bermuda a globally respected, business-friendly financial centre for insurance, asset management and private-client business are now being extended to technologists and innovators. Brought to you by the same people that can’t manage the trash pickup. What could go wrong? You mean more foreigners coming to Bermuda?! How many Bermudian jowbs will be created?! I’m tired of being a second class citizen in my own country!!! News Flash. Even Minister Caines is NOT investing in all this smoke & mirrors, just to make it look like the PLP are creating this “new pillar”. Interestingly, nothing is said about whether any virtual currency will be regulated by the Ministee personally, the BMA or the Minister’s puppet Casino Gaming Commission or the Regulatory Authority. Congrats on focusing on the virtual currency and not on the environment in which that currency will used as legal tender. Talk about putting the cart before the horse! Not to mention, money laundering if it were to really take place will do so based on the environment not being secure. I realise that Minister Caines and his friends are really eager to do something that will boost and “save” the economy, but to take such a half-baked shot at this is only going to create massive AML problems for Bermuda. And all of this when we as a nation are about to face a FATF audit. Pure naive foolishness. So sad that there isn’t a mature, considered expert that our government will hear involved in this fiasco in the making. If there was, this would be a lot more rounded and not arriving so soon! Terrible timing! Oh **** off! You all hate anything and everything we are trying to accomplish! Digging for gold in the hull of a leaky ship is what I envision when reading your foolish comment. No different than y’alls attitude between 2013 and 2017. Yo didn’t have a problem with that approach during that time. So you can also *** off. Who is y’all. Your comment makes no sense to me. Does anyone know when a copy will be released to the public to review? What are you saying? That people should be able to check up on their Government? No mention of BMA regulations/filings? I just hope that AML controls are water tight and Bermuda’s reputation is not damaged by Ponzi scheme style ICOs set up here. Is Wayne Caines the defect Deputy Finance minister or something? Nothing from Flip Flop?